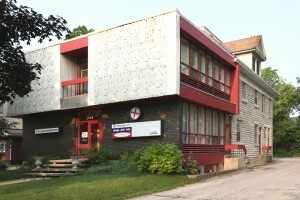 Located in the centre of downtown Owen Sound and close to the main street, law offices and banks the Technology Centre offers a pleasant working environment in this unique high-profile building. With over 7,000 sq. ft. of office space we offer a great location at an affordable price and a variety of working offices for rent by the day, week or month. Our rental rates are all-inclusive, include use of our audio-visual boardroom and additional meeting rooms on the main and second floor. A common-area kitchen is available for all tenants. The Technology Centre offers an opportunity for you work away from home a few days or weeks a month. We can also serve as a temporary location if your existing office is under repairs and you need to relocate for a short period of time. Office may also be leased in which case, the term is usually 60-days and renews monthly – no long-term lease commitment. 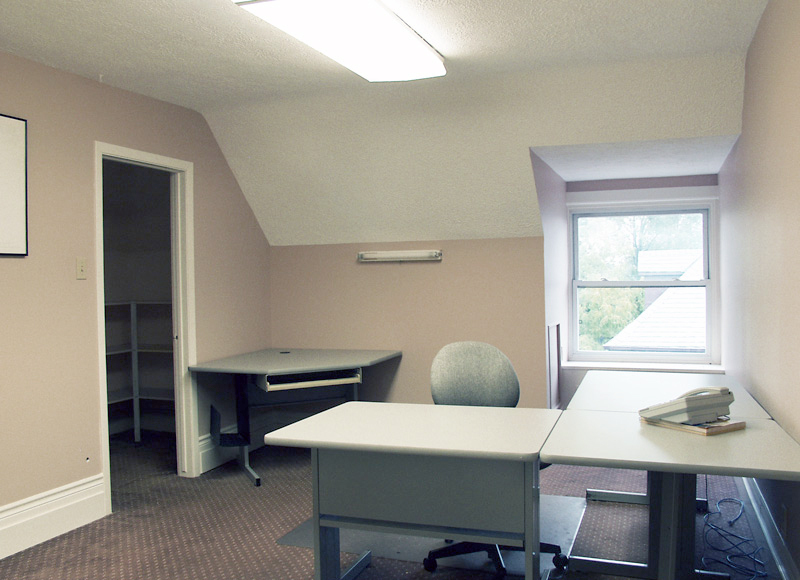 This 1-2 person office of approximately 160 sq. ft is located on the second floor next to a waiting area and common kitchen. 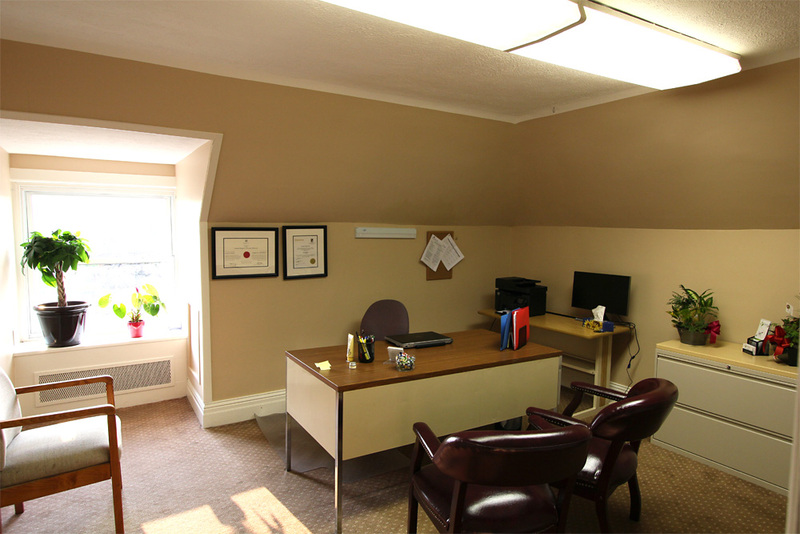 This 1-2 office of approximately 180 sq. ft is located on the third floor, next to a common waiting area and washroom. 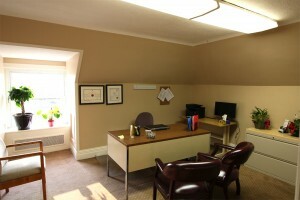 Executive office on second floor with large windows, built-in bookcases and variable track lighting. Large windows and adjoining storage area. 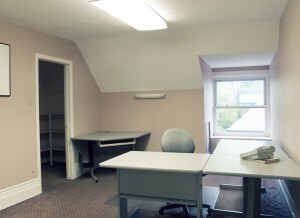 This office is unfurnished or include large desk. Central air conditioning all utilities & parking space included. Approximately 200 sq ft.